AN fittings, barbs, banjos and other fittings! 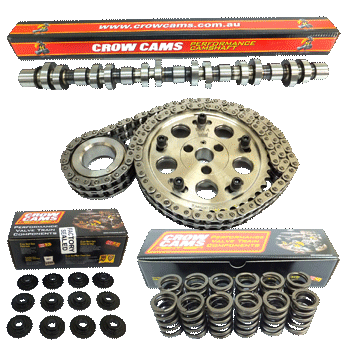 vernier gears, valve springs, retainers and more! 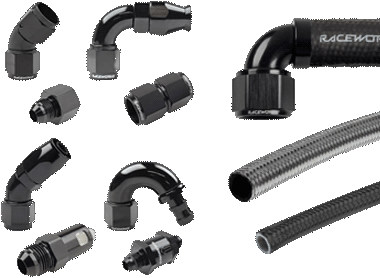 as Bosch, Walbro, Turbosmart, BMC and many more! Ready to plug straight in and get running! 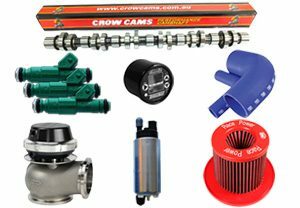 We stock a large range of genuine Bosch, Walbro, BMC and Turbosmart performance products at brilliant prices! 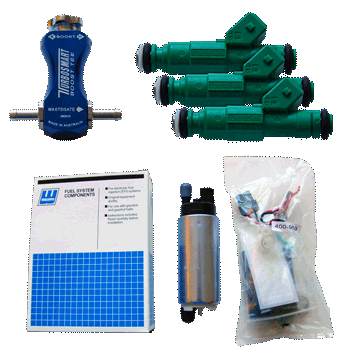 Our range includes fuel pumps, ignition coils, MAF and MAP sensors, O2 sensors and more. We stock Performance Chips to suit EA, EB, EF, EF, EL, XG and XH Ford Falcons! We can customise a tune to suit any modifications you’ve made to your car, and provide it on a J3 Chip, ready to plug in. Click here to see which J3 Chip will suit your car. 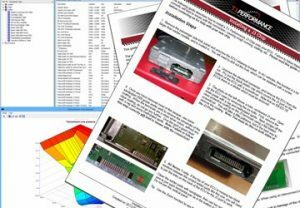 We have a whole section of our website dedicated to DIY tuning resources. With Reference Material, DIY Guides, and Tuning Files, you’ll find everything you need to tune your Ford. 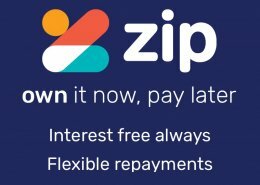 https://www.tiperformance.com.au/wp-content/uploads/2019/04/Zip-Pay_Custom_Banner_Sidebar_Navy.jpg 760 760 Jason Bolger //www.tiperformance.com.au/wp-content/uploads/2016/06/logo-transparent.png Jason Bolger2019-04-24 23:01:172019-04-24 23:21:23Zip now available! 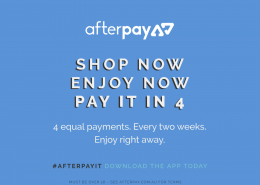 https://www.tiperformance.com.au/wp-content/uploads/2019/01/afterpay-pic.png 990 1326 Jason Bolger //www.tiperformance.com.au/wp-content/uploads/2016/06/logo-transparent.png Jason Bolger2019-01-08 21:16:402019-04-24 22:20:33Afterpay now available! 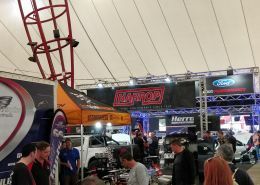 Yesterday we headed down to Meguiar's MotorEx for a few hours to check out the show. Here are a few pics we took of the awesome cars on display. Hey I just want to personally thank you have one happy customer, you have exceeded my expectations. The car feels so much better it feels like a completely different car. Just want to say thank you for a great product, and great job doing the tune. Definitely will be buying other products in the future. You do a great job on these chips! The car starts and runs really good. Thanks, Ray. Thank you Jason, I really appreciate your understanding and quick thinking. Thanks to you I will be able to drive my car home tonight without worrying about blowing up my 1J. Thanks mate, the chip worked a treat & I am telling my car nut mates down here in Tassie about it. Will keep your details on file for future business. Received my J3 Chip for my modified XH XR8 ute today and it works wonders!! 😀 Every aspect of the car is so much better. Especially the around town driveability!!! It’s so much more lively. And all the idle issues I had previously with the big cam are also gone. Thanks very much guys!!!!! Very happy customer here!!! Hey Jason. Put the chip in, what a difference! Very impressed man. I didn’t think it would be so responsive, definitely woke the old girl up. Very happy with the tune you supplied, been great. AFRs are spot on through boost, couldn’t be happier with the tune. In the very near future will be buying the TechEdge logging gear from you. Very happy so far. I installed the tune you made and went for a drive. What a difference it made, it runs and idles smooth and it pulls like a train from about 3000 rpm on. I am very happy with this tune. I think its spot on. Again I am very very happy with your work and your products. Good job on the chip mate. Can’t believe how good it goes. Hasn’t missed a beat!!! Long and short trips! Will be buying a fuel pump this week, and injectors in the future when $$$ is available. Just received and installed my J3 for my XH. Works awesome, a lot more responsive, manages the fuel better and more midrange power. Absolutely love it. Thanks a heap! Once again thanks for all your help mate you went above and beyond from where most retailers would help. Purchased a J3 chip to disable smartlock and tune, runs smooth and strong. Sits on the limiter in second without any troubles. The J3 chip from T.I. Performance is the bees knees and holds this baby together. Thanks guys! Just want to say thanks. Bought the tuning pack off you guys, read all your documents, read all your forum pages, even picked ya brain. You guys seriously make tuning a falcon a DIY thing. Almost Every info needed is right at your fingertips. Following your guides was awesome. Cheers again. Awesome service as always, cheers guys. Ordered tune Sunday night, received at my door Tuesday! Just like to say a huge thank you to the team at T.I Performance for my order of the J3. Car started first kick and runs pretty good for a base tune. Car drives awesomely and responsive. Absolute legend mate your service is impeccable every time I deal with you! Very happy with it thank you, impressive difference in drivability and power, flat spot low down in 2nd is gone, thank you very much! For some reason the Ford first gear is very long. Every time I take off it always bogs some till it gets to 2800rpm then topped out at 4200. Well the T.I. Stage 2 LPG chip fixed it. The best change which should have been done years ago, now my friends can feel what I have been trying to tell them. I normally only get 300km to 65l LPG around town. I installed the chip when I was about 190km into a tank of gas. The tank is almost empty but I am up to 350km so far. I have never seen the car go so far on one tank around town … can’t wait to fill the tank fully and see what mileage I can get. Thanks very much. 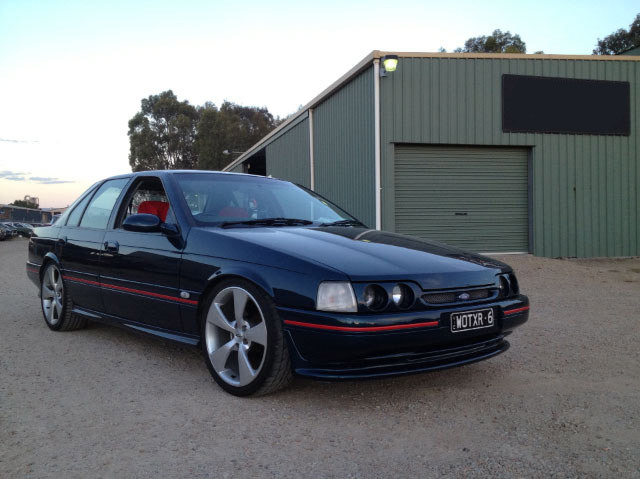 Without doing any changes to the chip, the vehicle [AU3 XR8] picked up 12 rear wheel kw. Just wanted to say cheers for fixing up my chip. Put the EL ecu and chip in last night all fired up nicely. Good idle great gear shifts. Now I can turn the boost up and see how it goes. Thanks again mate for you help and service. Finally got around to installing your chip and I have to say I am very impressed. No dramas at all, it idles like a baby and has made the response right through the rev range a lot sharper. Very impressed. I am having so much fun with the tuning pack, it should be mandatory 😉 . Thanks for opening up ECU tuning for us mere mortals. Just wanted to thank you for helping me out with ordering my J3 chip and your excellent customer service, the chip arrived today and looks to be of fantastic quality. And also cheers for the TI performance sticker. I will definitely use your company again in the future. Thanks mate, vast improvement in all round drivability, shifts properly with the foot to floor. Love it !!! Big thanks to Jason, I have ordered two chips over the last few months for both my cars and I couldn’t be happier. My third dealing with T.I Performance in a few years and recommend to all my mates with Falcons. Sticker now proudly displayed on my car. Thanks again. Thanks for that, you are a legend. Thanks for the sticker. Thank you for your great service. Have a very Merry Christmas. Hey Jason, Alan from NZ. Thanks for the fast service and all your help, the chip has fixed the car right up. It idles good now, no rev hang, and so much more torque and power right from the get go. It’s even firmer in the auto. I can’t thank you enough. Your attitude towards us customers with a small or Large $ sale is why you succeed Jason. Top service. You do a great job guys! 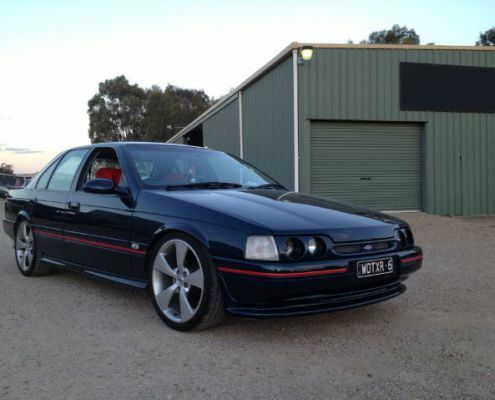 Sorted out my idle issues in my xr6, runs like a gem now! Installed the J3 this arvo and have only taken the EB around the block but wow does it drive awesome! From the short drive the idle has smoothed out heaps and it revs out a lot cleaner and changes are quicker and more precise. Also top work on the instructions, they were actually extremely helpful! Thanks heaps for that aye, you’re a bloody legend when it comes to customer support! The chip is installed without any problem at all. It has changed the car quite a lot actually, More than I thought. Feels much more powerful and it seems more willing to rev. Better throttle response also. I bought a J3 for my EB ages ago so it’d run better with the mods, and I am overly happy with the results. It’s perfect. Thank you very much for the great service, very happy with how it has progressed. My TI Performance custom-tuned chip was a big improvement over stock. Jason’s been tuning Falcon J3 chips for a long time, so he knows what works. He’s a big help for a newb like me in getting my tune working. Thanks for quick delivery. Can’t wait to get it in my car. Installed chip 2 days ago and felt like a great improvement. Then took it to willowbank and my best atmo run on e85 tune was 14.1 at 97mph and 2.0 60ftÂ (.6 seconds better than before tune). Then put the nitrous tune on with a 75hp shot. With a bit of wheelspin of the line I ran a 13.0 at 104mph. Vast improvements all around and just wanted to say thanks again. The J3 made a huge difference and must thank you for it. Thanks for the help and i’m very happy with the chip. A late reply as to how we went… How does “perfect” sound??? We will meet again, thank you for an excellent product and service. I still can’t believe how well this thing is running considering the temperature and humidity!! – and with gloriously freezing aircon blasting away the whole time – bloody marvellous!!! I fitted the J3 and am very happy with it… noticable torque gain across the rpm range and revs so much better. Received the Chip, Thanks, Has made a great difference to the idle quality of car and response has also increased somewhat. Will be back intouch when get the other work done as may look into the Full tuning Kit. It’ll pay itself off in the next 10 tanks of fuel alone I can tell you now. I highly recommend talking to Jason if you need a custom tune. I got a custom J3 tune from T.I. Performance which is pretty much the best bang for buck I’ve spent on the car. It’s unbelievable how many little problems it’s fixed with gear shifting, idling, revving and fuel consumption. Thanks for putting up with my questions, you have one of the best after sales service of any business I have dealt with. One of the best, easiest and most helpful person I’ve dealt with. Will be definitely recommend where I can. Hey Jason! Thanks for the chip, got it today, and I love the extra boost it gives! Thanks again, N.
Just a big thanks for the chip. Wish I did the ecu and chip earlier!! Straight away the plug in resulted in a firmer gear shift and more mid range torque. Can’t believe how fast the chip came. Ordered Friday night came Monday. Top service. Thanks Jason you’ve saved the day yet again. Thanks again for all your help in sorting the chip out! I will also order another sticker from you, as I reckon your business logo looks awesome! Will look forward to seeing my car in your owners gallery too! Thanks again car is running perfectly. And economy is great (over 700km a tank) on the highway. Thanks again. Will be getting a couple more chips off you soon for mates’ cars. My chips arrived today, thanks. Makes a massive difference to the low/mid rev range with the 977b. Thanks again, well worth the money! Was amazed at how smooth it is, like a factory car! It hasn’t stalled once and doesn’t blow smoke anymore when idling! Good news mate! Went for a quick test drive, and ran smoother and pulls nicely in the upper rev range! One of the mechanics took my car for a spin and was also impressed with the results! Thanks again for all of your quick email responses! Much appreciated! Chip arrived today, quick postage very impressed. Thanks! Again, thank-you, it’s always a pleasure to deal with genuine professionals. Will be dropping in my new 347 stroker in about 3 monthss time so I’ll be in touch for another upgrade. Just a quick note to thank you very much for your excellent service. car is now a manual, and running beautifully. I couldn’t be happier. You’re a champion Jason. I have always liked your service it is first class, just the way I like it. Thanks buddy. As always your service is second to none, thank you. Thanks for your help and fantastic service. It is much appreciated and I will have no hesitation in recommending you and T.I. Performance to anyone in the future. Hey Jason, I got the chip today, very happy with the results! Extremely happy with your products and service mate, youve done very well!! Anyways, would just like to say a massive “thank you!” for all your help with the revised tune and taking the time to reply to all my long drawn out PMs. Your product is excellent and the equipment and information is outstanding, I was on your site for hours just looking and reading the things people have done and said about modifying the cars they own. I cant believe how much info on the Ford 6 cyl absolutely brilliant. My car is heaps better now that I have put the J3 chip in. Thanks a lot, I will be telling all my friends who drive E and A Series Fords! Let me say a big thankyou for the fantastic job you did on the Stage 2 J3 Chip you supplied for me last year. It returned great improvements in both power and economy, exactly what I was looking for. 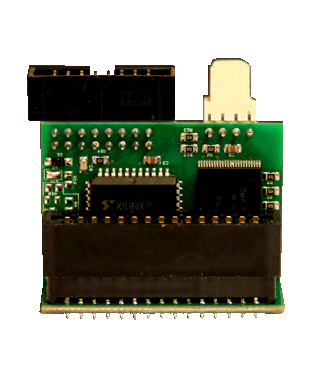 The addition of this J3 chip, following the instructions and having a tweak with a few things. Wow! 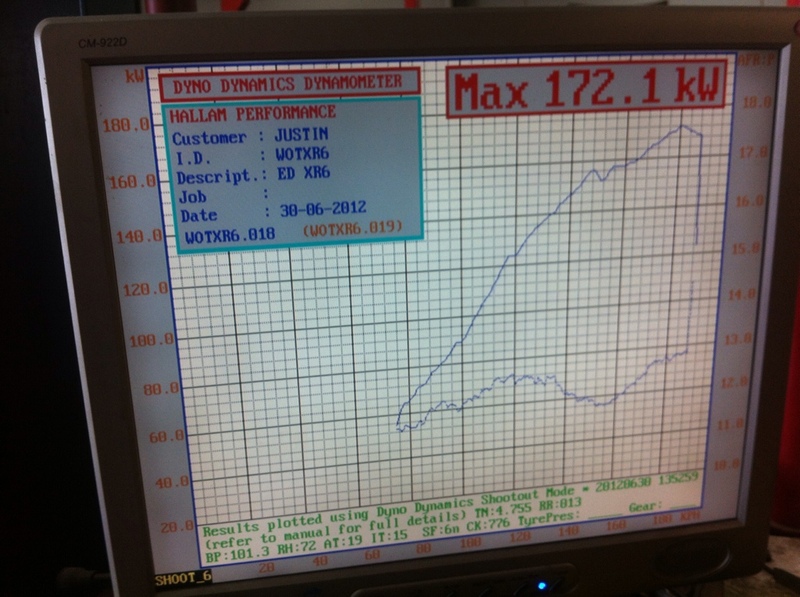 No dyno as yet but its alive… Thanks to T.I. Performance. Professional, helpful & a pleasure to deal with. Plugged the chip in tonight, and runs beautifully! Really boosted the mid range torque it now pulls right from 2800 till redline. Definately worth the wait. Got the J3 installed today and I cant sing your praises enough. Not only did it get the VCT ecu running but it has totally transformed the car and now the AU has a new lease on life. Gotta say the minister of finance and welfare (wife) is wrapped too! Thanks again mate and I’ll certainly be recommending your products to all my mates! Jason you’re a lifesaver! Car runs B-E-A-UTIFULLY now. When I get a chance to dyno it i’ll post up some pics of the car and the dyno run! Would like to say thanks Jason. We put it in and a massive difference it has made, great work. Chip came today, awesome job with the tune. Very responsive, heaps smoother, decent power increase as well. The J3 you sent me works great, and i have nothing but praise for your efforts and your product! Thanks for the chip, car feels great again, fixed all the running problems & your postage was super quick. Pleasure dealing with you. The car drives like a dream compared to what it used to be like! Thank you. I have installed the J3 chip and it’s very good. The low end sluggishness is almost completely gone. 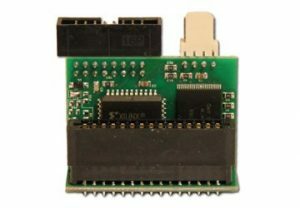 I bought a Stage 2 J3 Chip for my cammed AU1 XR8 Auto. It idles smoother, cruises at light throttle better, can spin the wheels off the line now. For $200 I can’t complain at all. Thanks for your help with this purchase. It’s great to have someone so willing to help us newbies. I am absolutely stoked. It’s as if I have changed the engine. Throttle response especially has improved out of sight. Products look great! Cant wait to try them out. Have a bit of experience tuning and done a lot of research on using these products. Looking forward to the results! Thanks for all your info that you give with no fuss or worries. Really appreciated. Just letting you know that the chip has made a world of difference, I can’t thank you enough! I’ll definitely be recommending you guys! Installed today I am very impressed with it thankyou very much. Works a treat. Also impressed on the delivery speed cheers. I can’t thank you enough on how helpful you have been. It has been a pleasure to do business with you and shows how well transactions can be done via the internet. Excellent product mate, cheers for the fast dispatch. I will recommend this mod highly to anyone. Thanks for all your help. Received the chip yesterday and installed today. I am very impressed with it, thank you very much. Works a treat. Also impressed on the delivery speed. IÂ got the chip the other day and whacked it in that night and itÂ couldnt be better, runs just like a manual should without the auto glitches and runs super smooth with the cam. Found that now since it has had the tune that the car now idles properly with the heavier cam, has consistent smooth power across the rev range and stunning fuel economy. The thing flies for a stocker! The mid range punch is mad now too! Looks like you got the tune spot on mate! The J3 was awesome, plug and play!! No need to stuff with looms, and the thermos behave as they should! Thank You for putting my car on your site and also for making these tuning tools available to the average bloke! Thanks Jason. Arrived promptly, your a champ, will buy again. The chip arrived today. It’s perfect! This car goes … it’s still pulling like a freight train. The idle is smooth, the throttle response is amazing. The car feels lighter because the throttle response is instant and it has so much more torque at part throttle. This is the best money I have ever spent on the car. It feels like it’s making all my previous mods work together – so polished it feels like it came from the factory like this. I couldn’t be happier with the chip. I will make sure I promote your custom chips – they work superbly. It flies! Fuel consumption is far better now… It also seems to have more power right across the range, instead of just up high, and cold starts are awesome. Can’t ask for much better than that! I’ve finally got my budget club track car going with the custom tune Jason set up for me and WOW! I can’t believe how much difference a small cam (1673) and the the J3 chip has made. I am very impressed! Very happy with my T.I. Performance J3 chip. The car is completely different and so much more responsive. The real test for me though was blipping the throttle in neutral. There is a big difference between then and now. What a difference! Remember I mentioned that it couldn’t lose traction stalling the torque convertor, even in the wet? Well, it’s now melting the tyres even in the dry. It’s noticeably stronger across the whole range. I’m very happy with the chip. 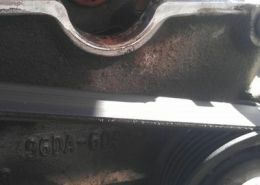 It has made at least as much of a difference as the headers or the increased compression and cam regrind combined. Thanks for the good work. Jason, what a chip. You are a legend. Idle fixed & revs a lot smoother throughout the rev range. Very, very happy with product, service & putting up with me. Thank you again. A must upgrade to everybody in Ford E-Series land. I am letting you know how happy my customer is with his manual EF I6. It has had a Unichip piggyback fitted years ago and I convinced him to ditch it and try tuning the factory maps. He is blown away with how smooth the idle is… he reckons its idling like it has a stock cam. The mid range driveability is much crisper now…. and the idle dramas he has always whinged about like surges on cold starts are almost all gone.